The law known as “campus carry” takes effect Monday, Aug. 1, and allows individuals with a license to carry a handgun the ability to carry a concealed handgun onto public university campuses except where prohibited. UTA’s campus carry website has extensive information on implementation of the law. Please consult the site for the most updated information, including the UTA Campus Carry policy and guidelines. If you cannot find the information you are seeking there, please contact the Campus Carry Committee through the online comment form, and someone will respond as soon as possible. See the map of exclusionary areas and places where concealed handguns may not be carried. 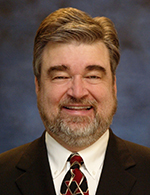 Peter E. Crouch, dean of engineering for the University of Hawai‘i at Mānoa and the former dean of Arizona State University’s Ira A. Fulton School of Engineering, joins UTA in August as dean of the College of Engineering and professor of electrical engineering. As dean, Dr. Crouch saw significant enrollment growth, established strong partnerships with businesses and workforce leaders, and elevated the college's national rankings. He has helped secure millions of dollars in federal support for major research centers focused on renewable energy, environmental security, space flight, and flexible electronics displays. Read more. Learn about the Veterans Business Outreach Center program at an open house set for 11 a.m.-7 p.m. Thursday, July 28, in Room 635 of the Business Building. Formal presentations are set for 11:30 a.m. and 6 p.m. RSVP to patrick.alcorn@uta.edu. The center is designed to provide entrepreneurial development services such as business training, counseling, mentoring, and referrals for eligible veterans owning or considering starting small businesses. Read more about the center. 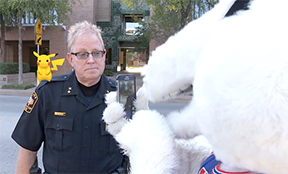 Members of the UTA Police Department prevent our beloved mascot from taking a tumble while playing "Pokemon Go." Have fun when you play on the UTA campus, but please be smart and stay safe. Watch the video. Student Congress has open positions for students in the College of Architecture, Planning and Public Affairs; College of Liberal Arts; College of Nursing and Health Innovation; School of Social Work; and University College. Applications are due by 5 p.m. Friday, Aug. 5. For more details, visit uta.edu/sc or email Laura Baker at laura.baker@uta.edu. 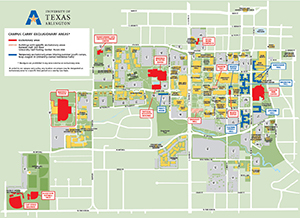 MyMav and UT Share will be unavailable for extended maintenance from 7 p.m. Friday, July 29, to 7 p.m. Sunday, July 31. During the maintenance, a user may receive a message that the user ID or password is invalid. Please do not contact the Help Desk if you receive this error message. Only critical UTA personnel will have access to the MyMav system. Visit the system status page to receive updates. Additional information is on the maintenance update page. Questions? Contact the Help Desk at helpdesk@uta.edu or 817-272-2208. More than 600 participants, judges, and law enforcement officers from around Texas will be on campus Thursday-Sunday, July 28-31. The Texas Law Enforcement Explorer Advisors Association's State Explorer Competition features teams of youth and adults competing in “real-life” law enforcement scenarios in various campus locations, including parking lots, classroom buildings, the University Center, and residence halls. Questions? Contact the UTA Police Department at 817-272-3381. Free Outdoor Movie Bring a chair or a blanket, a picnic, and friends for outdoor movies each Thursday. Free popcorn. 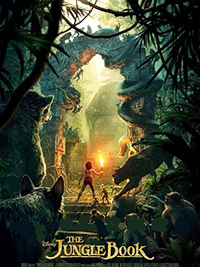 The next movie is The Jungle Book (PG), Thursday, July 28. Free. 9 p.m., lawn behind the Maverick Activities Center. 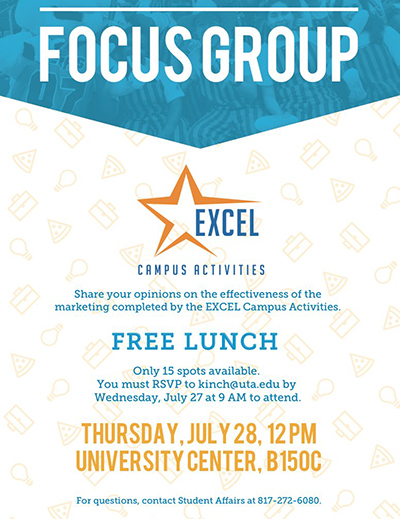 EXCEL Campus Activities. UTARI Seminar The staff of the UTARI Biomedical Division updates on projects. Register online. Shuttle available. Lunch provided. Noon, Thursday, July 28, UTARI, 7300 Jack Newell Blvd. S., Fort Worth. UTA Research Institute. Arlington Technology Association UTA engineering alumnus Saty Satyamurti describes his plan for a bus transit system for Arlington, including issues such as population forecasts, bus terminals, routes, fares, and more. RSVP. Free. 7-8 a.m. Wednesday, Aug. 3, Room 100, Nedderman Hall. Arlington Technology Association. Men's golf student-athlete Tanner Gore won the ninth annual Eschenbrenner Amateur Golf Classic at Lone Star Golf Club in El Paso. Read more. Men's golf coach Stuart Deane and associate head coach Casey Devoll won the Effex Management Texas Team Championship in Austin. Read more. UTA's Gerald Richey Invitational is the season opener for the men's and women's 2016 cross country schedules, which include four regular-season meets and three postseason races. Read more.